Skin protectant/sunscreen. 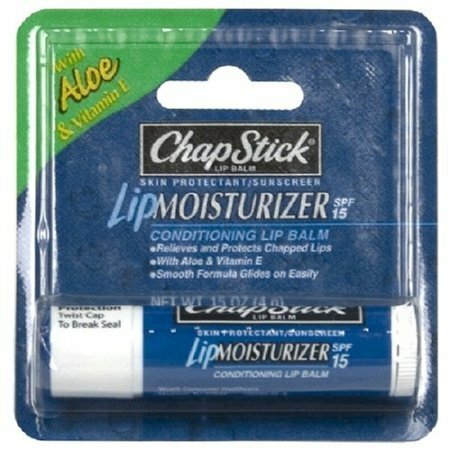 Relieves and protects chapped lips. With aloe & Vitamin E. Smooth formula glides on easily. Made in USA.